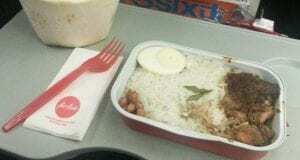 airasia meal review on two flights! 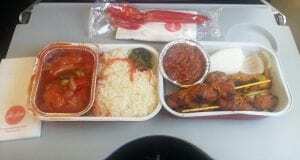 I flew from Singapore to Phuket with Air Asia but booked my flights via Kuala Lumper to get a taste of Air Asia meals. I’ve heard great things about the meals on Air Asia so surely it’s going to taste great. For the latest Air Asia inflight meal review go here. 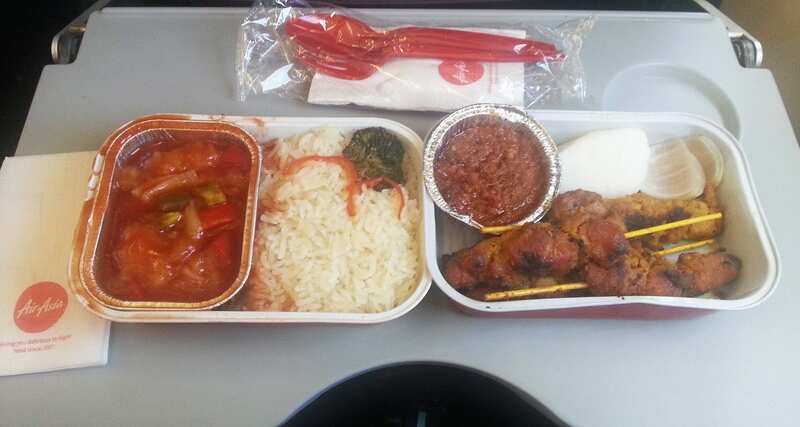 Singapore to Kuala Lumpur- Sweet and Sour Fish with Flavored Rice and the famous Chicken Satay. Singapore to KL is a rapid flight, it seemed rushed, which is quite reasonable for a flight time so short. I’m impressed that the cabin crew have time to complete an inflight service and even provide hot meals that passengers have pre ordered. 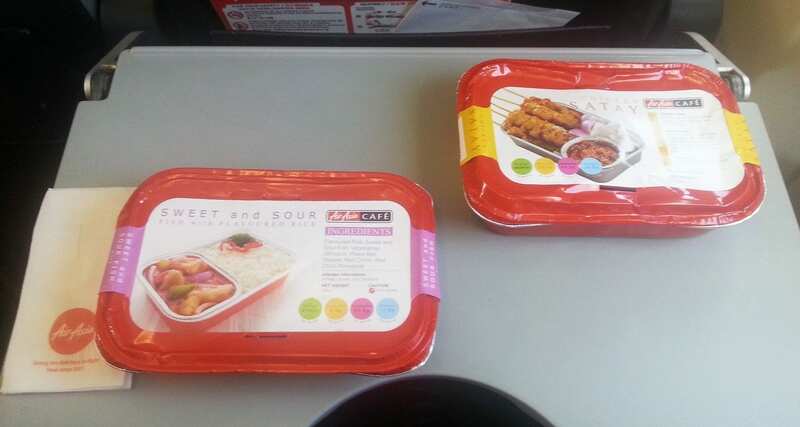 The packaging’s great and the photos of the meals look great on the outside. But once you open the meal, you realise that the photography on the outside doesn’t match what’s inside. Slightly disappointing. The chicken satays have seen better days, as though someone threw them together quickly, and the taste wasn’t great. The meat is tough and rubbery, and I decide it’s time to move onto the next meal. The sweet and sour fish is slightly better though, a nice mix of salty and sweet flavors in the dish. 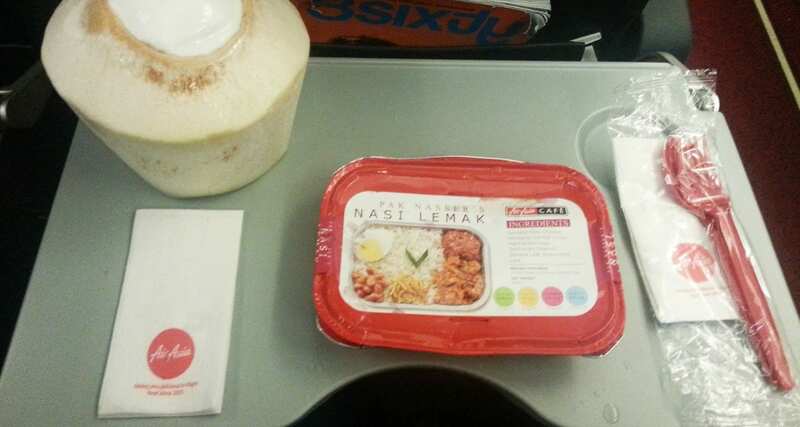 Everyone raves about the Nasi Lemak on Air Asia, so my expectations are somewhat high. Along with the Air Asia Nasi Lemak, I ordered the Mat Kepala (a young coconut drink) to wash everything down. The Nasi Lemak doesn’t look appetising at all; the egg doesn’t look too good, the taste was quite strange for me. I am not sure if it’s my taste buds or the dish itself, but I found it to be sub-par in quality and taste. The silver lining in this story is the Air Asia Mat Kepala is fantastic, sweet, fresh and something unique to drink inflight. If you do have to pre-order something at least try the Mat Kepala. Set your expectations low, the meals are very well priced, so don’t expect first class dining like I did. For the price though, you can’t go wrong.